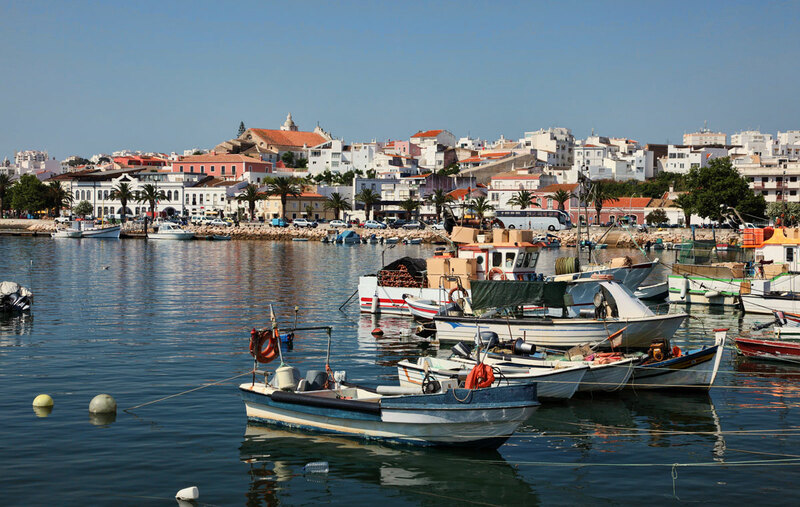 One of the most popular tourist destinations on the Algarve and certainly one of my favourites, Lagos is a bustling town full of activity, nightlife and modern attractions. However, it is also a town full of history and the monuments and architecture which take us back to the many different peoples who have settled here and the many maritime adventure which have started in Lagos' impressive natural harbour. 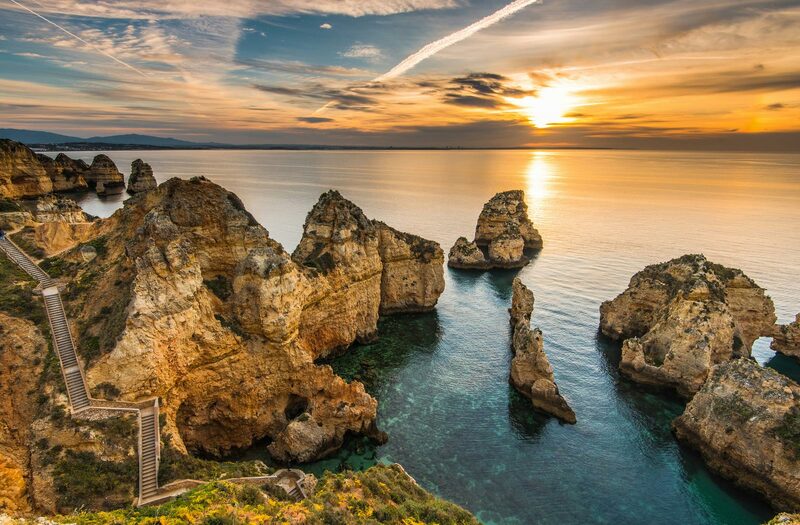 The nearby beaches are among the best in the region and the rocky headland of Ponta da Piedade is outstandingly beautiful. Over the two and a half thousand years of its existence, Lagos has been home to the Phoenicians, Carthaginians, Romans and Moors all attracted by the harbour and what it represented in terms of communication, location and therefore power. Henry the Navigator famously ordered expeditions from here, and indeed it was from here that Vasco da Gama set sail for what was to be his discovery of Brazil. Many statues dotted around the town remember past sea adventurers, including Dom Sebastião whose attempt to capture areas in North Africa ended in total disaster in 1578. Even British sailors under Nelson made Lagos a renowned stopover point as they told their countrymen back home of the wonders of the drinking and the beautiful local women. Drinking and good times continue to be a fundamental part of a visit to Lagos and the fine array of restaurants, bars and local festas stand as testament to this. The busy flea market fills the narrow streets of the centre, which also boasts a Cultural Centre hosting various exhibitions and events throughout the year. For those more interested in the maritime aspect of the area, boat trips, deep-sea fishing and yacht hire are all available at the marina. 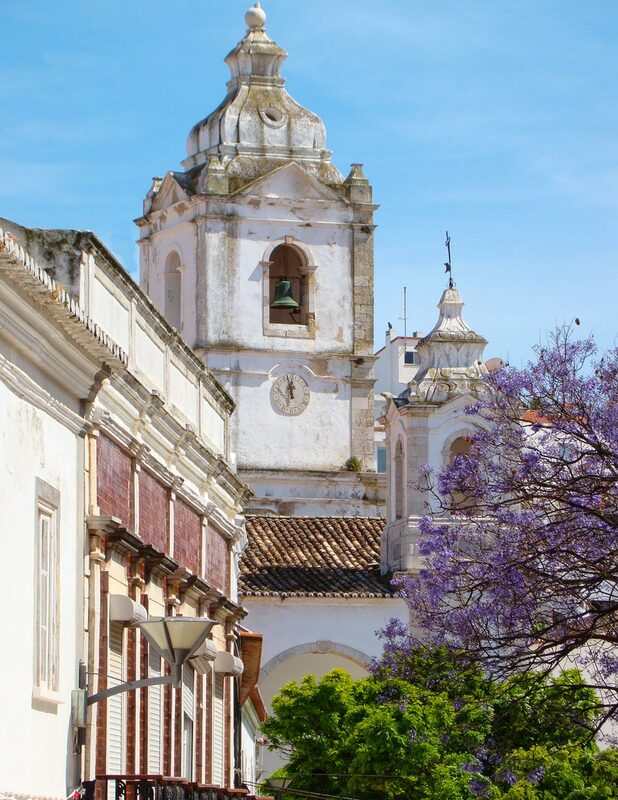 For sightseers the ancient city walls are well preserved despite the devastation caused by the 1755 earthquake which destroyed much of the town and caused Lagos to lose its status as capital of the Algarve in favour of the less affected Faro. One church remains; the Igreja de Santo António - where Dom Sebastião reputedly attended his last mass before his tragic expedition - is also known as the golden church due the impressive baroque gilt work on display. Cherubs and animals feature among the intricate carvings often fashioned out of Brazilian gold. The local museum is also found here with artefacts from the Iron and Bronze Ages alongside sacred treasures. The ominous honour of housing Europe's first slave market dating from 1441 and now an art gallery located in Rossio da Trindade, is another unique string to Lagos' bow. For the visitor it is generally the beautiful beaches that constitute the major attraction and there are many to choose from. There is always space at the golden sands of Meia Praia to the east of the town, however the beaches which lie to the south are generally considered more picturesque. Over the years the cliffs here have eroded into gnarled stone arches and tunnels which separate many tiny coves, all blessed with clean blue waters and some with steps built into the cliffs. 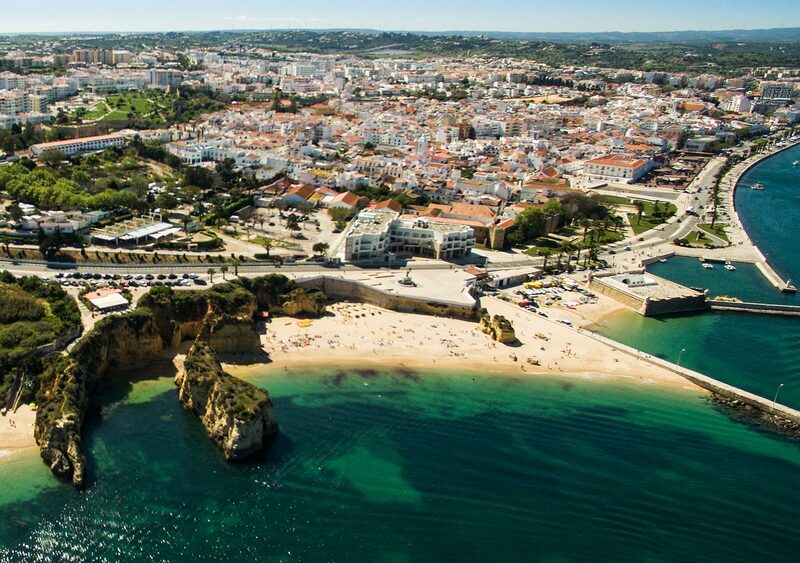 The most popular of these is the Praia Dona Ana. For those with personal transport, the whole coast around Lagos is worth a visit for less well-known beaches and small fishing villages. Golf is a popular activity throughout the Algarve and Lagos is no exception with the Palmares, Boavista and Alta courses offering a round with views of the ocean and the challenging Penina Championship Course nearby which often hosts a Portuguese Open tournament. For the younger visitor there are various water parks offering exciting rides and a zoo that offers the opportunity to swim with dolphins. Within the town, sunset marks the onset of much liveliness with street entertainers and buskers enhancing the general array of bars and clubs typical of an Algarve resort.